Whether you’re Irish or not, this Sunday, March 17, is Saint Patrick’s Day and that’s the only reason you need to celebrate one of Ireland’s patron saints, St Patrick, who is credited with bringing Christianity to Ireland. Though not a federal holiday in the USA, Saint Patrick's Day is a celebration of Irish and Irish American culture and St. Patrick's Day festivities concentrate on Irish themed parties, big parades, and religious observances. 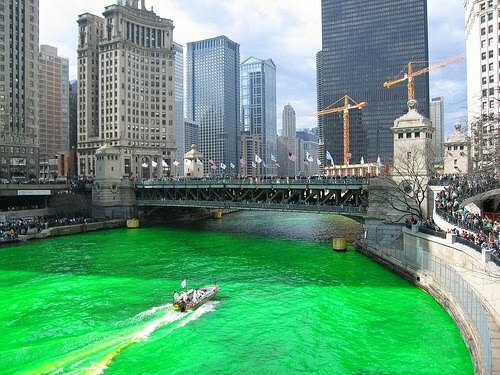 People celebrating often dress in green clothing and may consume food and drink dyed green, although my favorite St. Patrick’s Day scene is when Chicago dyes the famous Chicago River green. That city celebrates in a big way! 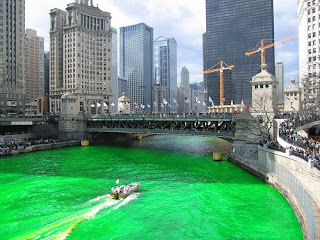 I’m not Irish and that’s all right, but everyone is Irish on March 17.